Where is the Temple of the Exploding Head?? 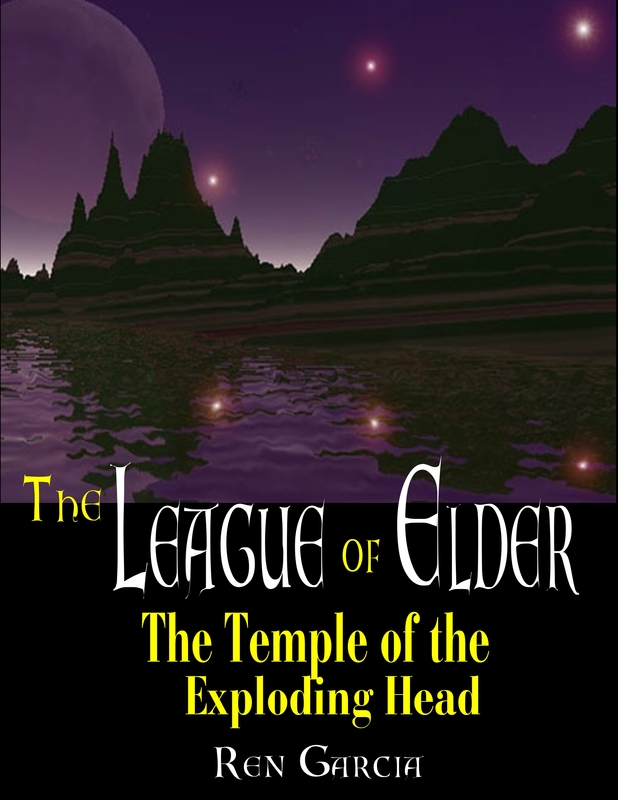 A fair portion of Book V: “The Temple of the Exploding Head” deals with locating the legendary Temple itself. The place could be literally anywhere on Kana, and, throughout history it has remained rather anonymous. It has defied the few attempts made over the years to uncover it. Not much is known regarding the Pre-History of Kana (pronounced: kay-na) prior to the arrival of the Elders at the beginning of the EX Time Epoch. Kana was found to be a bountiful world while the nearby star Codis was ideal to support the 25 Elders themselves. Kana was rather depleted of life, with only the Monama peoples living to the south. There were hints of a pre-cursor civilization scattered about the planet, but no serious effort was made to investigate as the Seven Tribes spread out over the planet and claimed it theirs. The first mention in Elder lore of the Temple of the Exploding head was in the writings of the berserker Remnath hero Atrajak of Want. 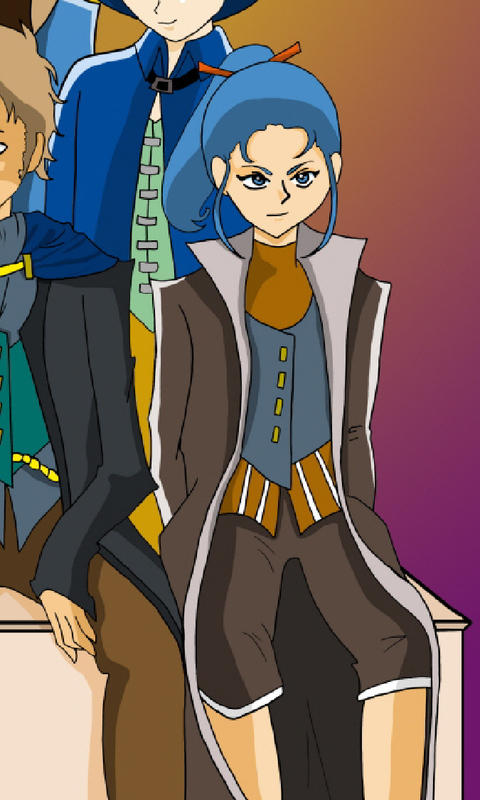 Atrajak had fallen in love with an Anuian Monama princess, Tiverlan of Nebulon. 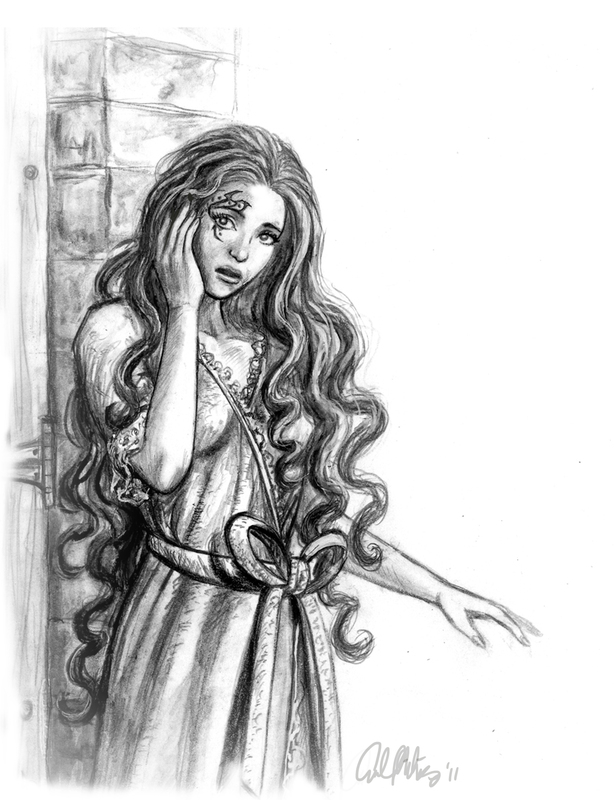 Through his dealings with the Monamas, Atrajak discovered Kana was under the eye of a mysterious group of beings who could come and go at will and were hidden sight and sound. The Monamas knew all about them, and when they accepted him as their Sar-Gra-Ma, they told him all they knew. 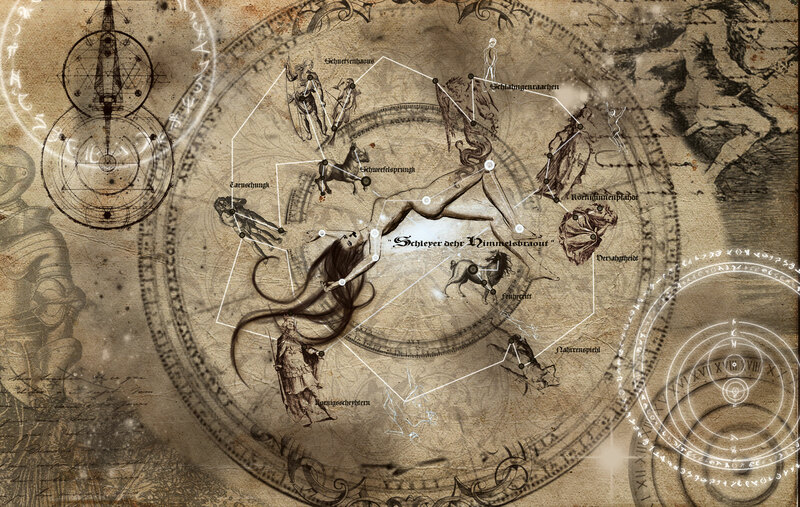 These beings whom Atrajak called The Kestral Oligarchy appeared to be quite hostile and he went on a long series of campaigns called the Hidden Wars where the Kestrals were driven away for a time. However, given their ability to step out of thin air, the Kestrals always returned. 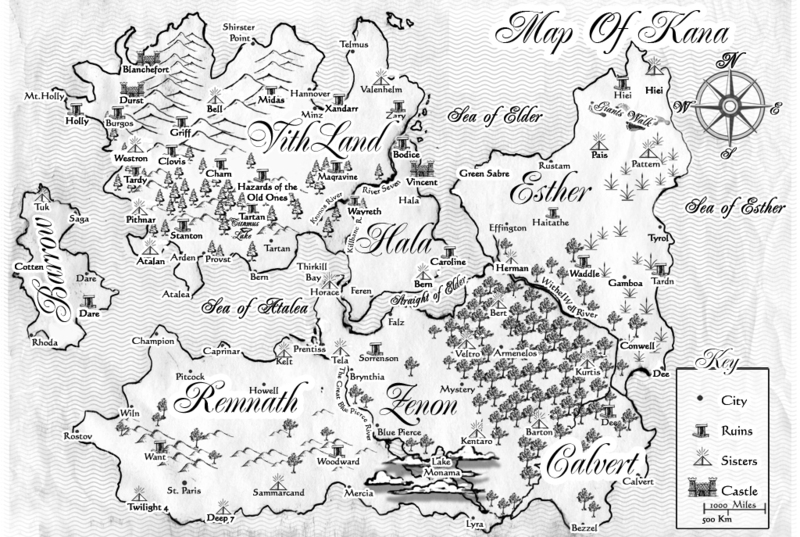 Tiverlan of Nebulon told Atrajak about a temple hidden deep in the ground where the Kestrals worshipped a terrible Horned God, and that it was the temple where they gained much of their power over Kana. After the death of his wife, Atrajak sought this temple but was unable to locate it. Eventually, broken and raving mad, he himself was killed when he stormed the Sisterhood stronghold of Twilight 4. 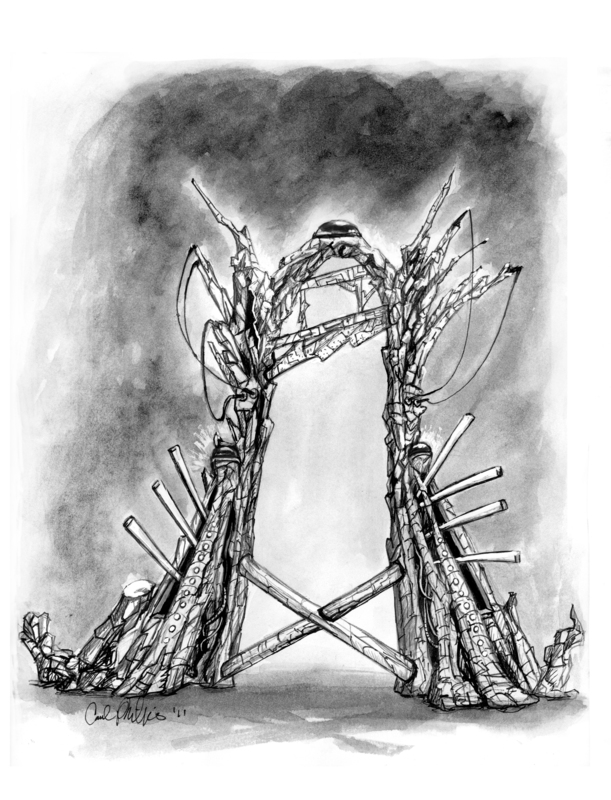 The Temple is a plague and a curse upon Kana and has caused the Elders living near it no end of misery, however nobody, not the old heroes or the scholars or heads of the Science Ministry or even the wise Sisterhood of Light themselves ever suspected its existence. The Sisters never bothered much with Pre-Elder or Non-Elder lore. They had warning, though. All the signs were there and the symptoms were a matter of public record. The occasional scribe wrote of “Bad Dreams” and a pervasive “Taint”, but nobody ever made the connection that the cause of this taint was an actual place hidden from sight. 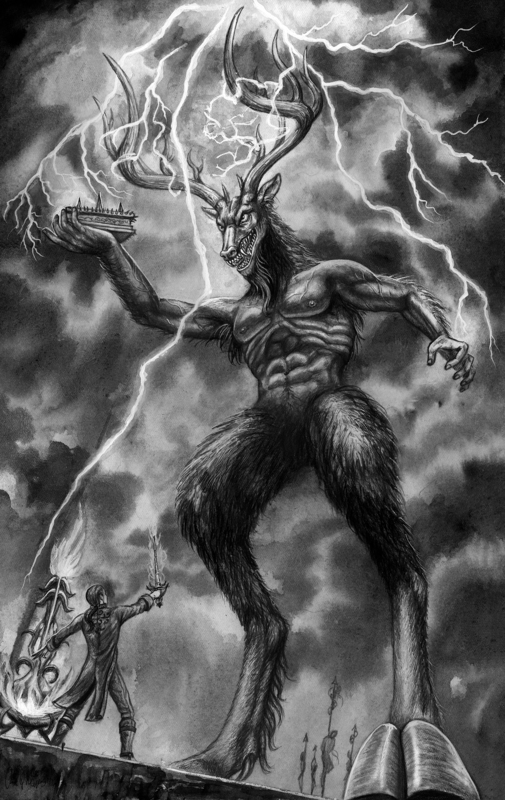 The Main bad Guy of the Temple of the Exploding Head trilogy is the diabolical Horned God. Although his role in the story has changed much since the first draft, his appearance has always been firm in my mind: A gigantic half man/half deer monster full of lust and fury. I always remember being somewhat frightened by deer as a kid. My folks used to leave me at a sitter every morning. The Sitter, in turn, would throw me into her child-proof rec room and turn on the TV (the ultimate baby-sitter). Mounted on the wall over the TV was a stag’s head, antlers and all. In my child’s mind, I remember the head talking to me, looking at me as I watched “Romper Room”. And then, came 1977 (I think). There was this book at the Hallmark store of all places, sitting on the spinner that I wanted desperately but my folks wouldn’t buy me. I washed cars, mowed lawns, did dishes until I had enough to buy it. The book was the first edition AD&D Monster Manual. I swear I read it cover to cover a dozen times (it’s still sitting in my bookcase to this day). 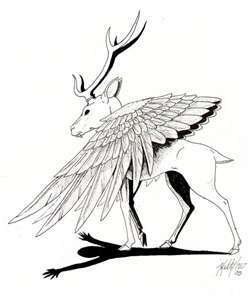 The scariest monster in the book for me, was the Peryton, a harpy-like monster sporting a stag’s head with a particular taste for human flesh. An amazing thing: though it was a winged, deer-headed monster, it cast the shadow of a man. I thought that was really cool and creepy. Another powerful image for me was a crumpled-up comic book I read at a friend’s house. It was an issue of The Defenders, an eclectic ensemble of heroes in the Marvel Universe. The bad guys in the comic were a bizarre group of thugs called The Headmen, each member having a funky, disjointed head of some sort. As I recall (or possibly not) one of the Headmen was a mad scientist who transferred his mind into that of an innocent fawn. The fawn, controlled by the baddie, had a very angry expression, one that I never forgot. When I began the process of envisioning the Horned God, he came together in my mind in two basic forms, one a stag with a towering set of antlers and as a Pan-like hoofed man with an angry deer’s head. I’m not sure which one give me more shivers. I discovered as I went through the various drafts of The Temple of the Exploding Head trilogy that I had an issue with some of the bad guys. I had originally intended the Kestral Oligarchy to be the main bad guys of the story–the fair, golden-skinned, shape-shifting evildoers from far away. It was the Kestrals who once inhabited Kana with vast, unsmiling cities and tormented the Monamas and built into them the horrid “Heart-Trigger” which reverts them into Berserkacides. The Kestrals also “invented” the Killanjo and worshipped an obscure Elemental Spirit of Lightning who granted them mastery of time and space, allowing them to simply step out of thin air. When the League arrived on Kana at the beginning of the EX Time Epoch, the Kestrals fled, ostensibly fearing the Fleet and waited in the wings silently fanning the flames between the League and the Xaphans. One of the hallmarks of the Kestrals–they were strange and unknowable. As they are aliens, I wanted them to be just that: alien. Alien thought processes, alien logic and methodology, I wanted them to be odd and inscrutable. I believe I accomplished that, however, the end result was rather lackluster. The Kestrals were weird, but in a very flat, boring sort of way. Plain and simple: they weren’t very interesting bad guys. The drafts continued and it was the Elemental Spirit they worshipped who became the true villain of the story: the horrid Horned God who lived in a temple deep in the ground. As the Horned God’s role increased, the Kestrals got pushed to the side and forgotten, turned into mere henchmen in the Horned God’s evil schemes. Eventually, I added the plot device of the Secret-Talker, a god’s dictaphone recording for all time everything they have done, good or bad. It was the addition of the pursuit of the Horned God’s Secret-Talker where our old friends, the Kestrals, came back into prominence. I dreamed up a City of Many Forms where the Kestrals held sway. 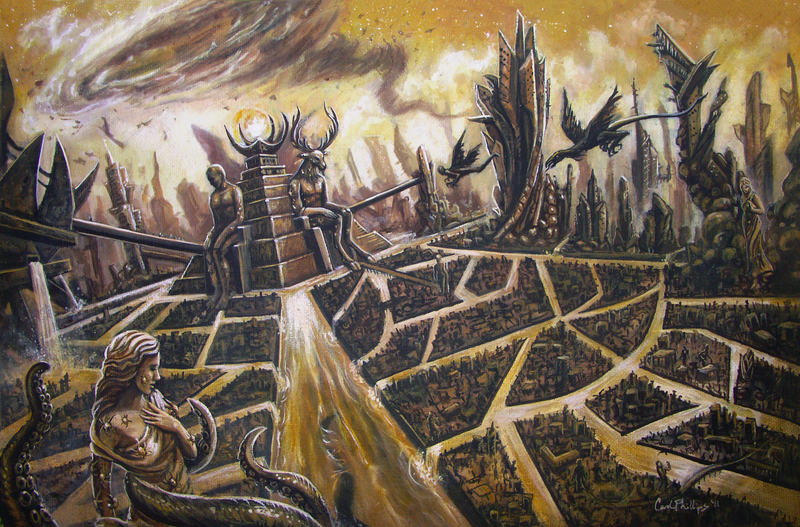 It was intended to be an insane city of strange proportions and mind-bending intent with an unguarded pathway leading to the Horned God’s Secret-Talker. I made it as strange and confusing as I could dream up. It was supposed to be a window-dressing getting the reader from points A to B, a carnival ride through the Fun House to the Secret-Talker, nothing more. With the City of Many Forms, I could have my cake and eat it too. I could keep the Kestrals weird and creepy, but I could also use the city to demonstrate their purpose and intent and make it plain without ever actually having to say what it is. Walking its streets, I could transform the Kestrals from mere henchmen to pretty cool villains with a clear agenda. With that, I dove headfirst into developing the City and exploring its secrets. It grew into a place of mis-matched architecture and deep-water canals that I based off of an old map of Atlantis I’d once seen with skies full of golden monsters. After you visit the City of Many Forms, you might wish I’d left the Kestrals alone.